It has been some time since visual content demand has risen on the internet, and with that some new business models have appeared, one of them being microstock. In the last years, quite a lot of microstock agencies have been created, an interesting option for contributors (photographers, graphic designers or illustrators to say some) and image buyers alike. Creative minds also look for a place to sell their work with a good commission and clients look for good quality works at low prices. 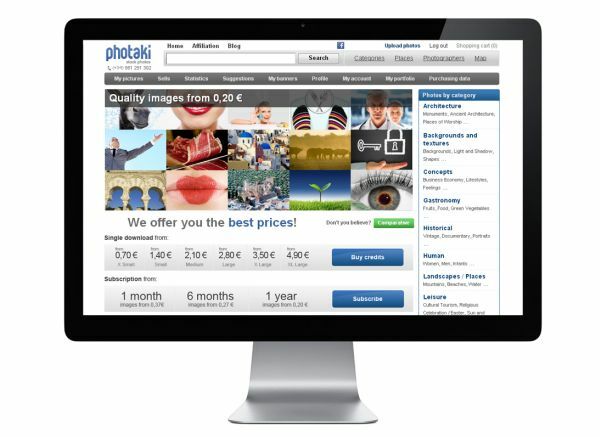 Today we would like to take a look at Photaki, a microstock agency created by photographers and launched in May, 2009. Photaki has quickly achieved a place among the 15 best agencies and has grown dramatically in content and user count. It’s a small company with a limited team, so what’s the keys of such rapid growth in a monopolised sector? As Photaki.com state themselves, relying on a limited team and a small infrastructure allowed them to optimize resources, work efficiently and offer very competitive prices. Downloading an image without having to buy an entire credit pack only costs 1 €. If you need more, the system will devaluate the credit cost down to 0.20 €. Their low prices aren’t the only reason of their success: photographers get the highest commission selling the image’s rights and one of the best affiliation program since recommending content we’ll benefit of said commissions with no time limit. They knew how to combine the best of traditional microstock agencies with latest trends on microstock, adapting to the kind of demand by offering two kind of licenses: Royalty Free or Rights Managed. With the latter we can limit the rights of use in case of exclusive content to keep the prices competitive. 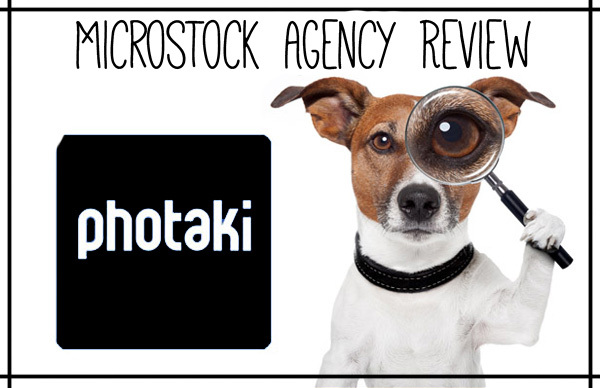 Graphic content saturation, the drop in sales and the higher costs to produce has made authors of “microstockers” all over the world to look for new ways to get income and Photaki has seen an opportunity here to get content on-par with bigger agencies. Photaki collaborates with bigger suppliers of photographs and illustrations – so if you’re one of the “big ones”, having more than 1000 images in your stock portfolio, Photaki is eager to offer you some nice cooperation schemes.